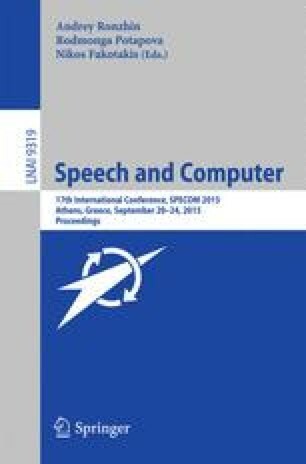 The paper presents a system for speech recognition and synthesis for the Kazakh and Russian languages. It is designed for use by speakers of Kazakh; due to the prevalence of bilingualism among Kazakh speakers, it was considered essential to design a bilingual Kazakh-Russian system. Developing our system involved building a text processing and transcription system that deals with both Kazakh and Russian text, and is used in both speech synthesis and recognition applications. We created a Kazakh TTS voice and an additional Russian voice using the recordings of the same bilingual voice artist. A Kazakh speech database was collected and used to train deep neural network acoustic models for the speech recognition system. The resulting models demonstrated sufficient performance for practical applications in interactive voice response and keyword spotting scenarios. The work was financially supported by the Government of the Russian Federation, Grant 074-U01.